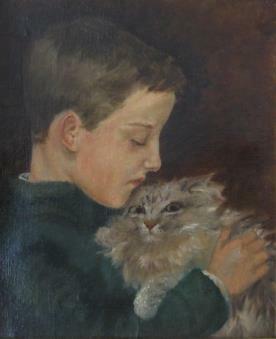 Stimson aged 10, with Mimi the cat. ^ HyperHistory.net http://www.hyperhistory.net/apwh/bios/b4stimson-henrylewis.htm Dec. 22, 2009. Retrieved August 7, 2010. Stimson has been portrayed in nearly a dozen movies and television shows about World War II and its aftermath, including Truman (1995), Truman at Potsdam (1995), Fat Man and Little Boy (1989), Day One (1989), War and Remembrance (1988), Race for the Bomb (1987), Churchill and the Generals (1981), Oppenheimer (1980), Tora! Tora! Tora! (1970), and The Beginning or the End (1947). In 1931, when Japan invaded Manchuria, Stimson, as secretary of state, proclaimed the famous "Stimson Doctrine." It said no fruits of illegal aggression would ever be recognized by the United States. Japan ignored it. Now, according to Stimson, the wheels of justice had turned and the "peace-loving" nations (as Stimson called them) had the chance to punish Japan's misdeeds in a manner that would warn aggressor nations never again to invade their neighbors. To validate the new moral order, he believed, the atomic bomb had to be used against civilians. The question for Stimson was not one of whether soldiers should use this weapon or not. Involved was the simple issue of ending a horrible war, and the more subtle and more important question of the possibility of genuine peace among nations. Stimson's decision involved the fate of mankind, and he posed the problem to the world in such clear and articulate fashion that there was near unanimous agreement mankind had to find a way so that atomic weapons would never be used again. In retrospect historians debate whether the impact of continued blockade, relentless bombing, and the Russian invasion of Manchuria would have somehow forced the Emperor to surrender sometime in late 1945 or early 1946 even without the atomic bombs (though not without very large numbers of allied casualties). But Stimson saw well beyond the immediate end of the war. He was the only top government official who tried to predict the meaning of the atomic age—he envisioned a new era in human affairs. For a half century he had worked to inject order, science, and moralism into matters of law, of state, and of diplomacy. Once again, Stimson defied all criticism about his age by proving that he was still as prescient and on top of his game as ever. The impact of the atom, he foresaw, would go far beyond military concerns to encompass diplomacy and world affairs, as well as business, economics and science. Above all, said Stimson, this "most terrible weapon ever known in human history" opened up "the opportunity to bring the world into a pattern in which the peace of the world and our civilization can be saved." That is, the very destructiveness of the new weaponry would shatter the ages-old belief that wars could be advantageous. It might now be possible to call a halt to the use of destruction as a ready solution to human conflicts. Indeed, society's new control over the most elemental forces of nature finally "caps the climax of the race between man's growing technical power for destructiveness and his psychological power of self-control and group control--his moral power." The Manhattan Project was managed by Major General Groves (Corps of Engineers) with a staff of reservists and many thousands of civilian scientists and engineers. Nominally Groves reported directly to General Little Boy" (the Hiroshima bomb) dropped within hours of its earliest possible availability — it was; Japan was to be forced to surrender and the bombing of Hiroshima August 6 would likely be a finishing blow for Tokyo. When prompt concession did not come, he pressed for Truman to drop "Fat Man" on Nagasaki on August 9. 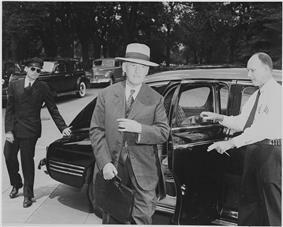 Secretary of War Henry L. Stimson ready for his Truman cabinet in August 1945. Stimson, a lawyer, insisted — against the initial wishes of both Roosevelt and Churchill - on proper judicial proceedings against leading war criminals. 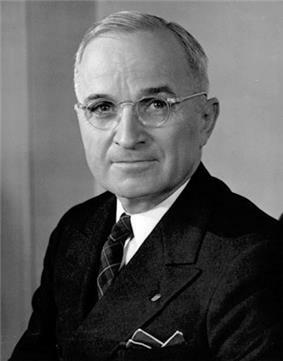 He and the United States Department of War drafted the first proposals for an International Tribunal, and this soon received backing from the incoming President Truman. Stimson's plan eventually led to the Nuremberg Trials of 1945-1946 that have had a significant impact on the development of International Law. On November 21, 1943, the news broke that General slapped an enlisted man suffering from nervous exhaustion at a medical evacuation hospital in Sicily. The incident caused a storm of controversy, and members of Congress called for Patton to be relieved of command. General Dwight D. Eisenhower opposed any move to recall General Patton from the European theater saying privately, "Patton is indispensable to the war effort - one of the guarantors of our victory." 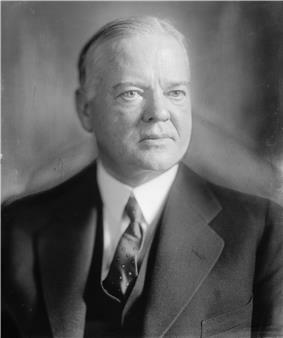 Stimson and McCloy agreed; Stimson told the Senate that Patton would be retained because of the need for his "aggressive, winning leadership in the bitter battles which are to come before final victory." Stimson was 73 years old when he took the reins as Secretary of War and many critics doubted that a man of his age could tackle a job this enormous, however he defied all naysayers and plunged into the task with "an energy that men 20 years his junior could not have mustered". 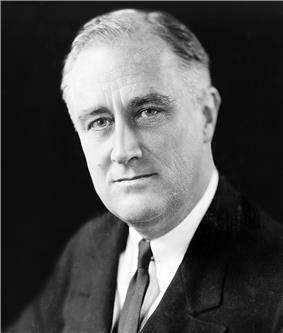 After World War II broke out in Europe, President Franklin D. Roosevelt returned Stimson to his post at the head of the War Department. The choice of Stimson, a conservative Republican, was a calculated effort by the president to win bipartisan support for what was considered an almost inevitable US entrance into the war. Ten days before the Attack on Pearl Harbor, Stimson entered in his diary the following statement: [Roosevelt] brought up the event that we are likely to be attacked perhaps next Monday, for the Japanese are notorious for making an attack without warning, and the question was what we should do. The question was how we should maneuver them into the position of firing the first shot without allowing too much danger to ourselves. * During the war, Stimson directed the expansion of the military, managing the conscription and training of 13 million soldiers and airmen and the purchase and transportation to battlefields of 30% of the nation's industrial output. He worked closely with his top aides Robert P. Patterson (who succeeded Stimson as Secretary), Robert Lovett (who handled the Air Force), and John J. McCloy (Assistant Secretary of War). 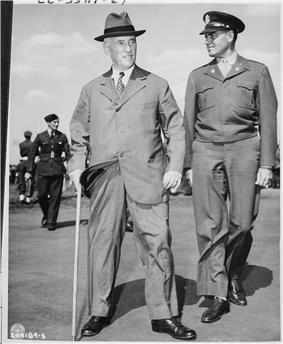 Secretary of War Henry L. Stimson with Col. Kyle (right) arrive at the Gatow Airport in Berlin, Germany to attend the Potsdam Conference (July 16, 1945). 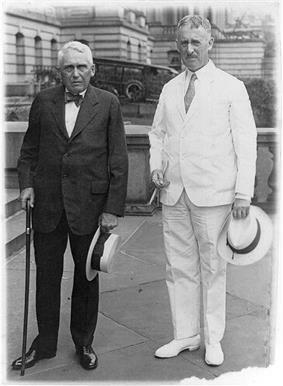 Stimson returned to the cabinet in 1929, when President Herbert Hoover appointed him Secretary of State. Both served until 1933. When he moved to Washington, D.C., Stimson lived in the Woodley Mansion. He lived there until 1946, when he resigned from office. In 1927, Stimson was sent by President Calvin Coolidge to Nicaragua to negotiate an end to the civil war taking place there. Stimson wrote that Nicaraguans "were not fitted for the responsibilities that go with independence and still less fitted for popular self-government". Later, after he'd been appointed Governor-General of the Philippines (succeeding General Leonard Wood), an office he held from 1927 to 1929, he opposed Filipino independence for the same reason. Following the outbreak of World War I in 1914, he was a strong supporter of Britain and France, but also supported the nation's neutrality policy. He called for preparation of a large, powerful army and was active in the privately funded Plattsburg Training Camp Movement to train potential officers. When war came in 1917 Stimson was one of eighteen officers selected by former President Theodore Roosevelt to raise a volunteer infantry division, Roosevelt's World War I volunteers, for service in France in 1917. President Woodrow Wilson refused to make use of the volunteers and the unit disbanded. Stimson served the regular U.S. Army in France as an artillery officer, reaching the rank of colonel in August 1918. In 1911, President Elihu Root, improving its efficiency prior to its vast expansion in World War I. 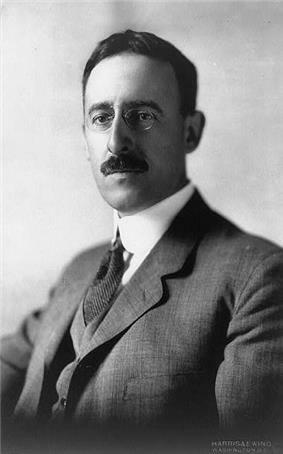 In 1913, following the accession of President Woodrow Wilson, Stimson left office. , a future Secretary of War and Secretary of State, became a major influence on and role model for Stimson.Elihu Root, graduating in 1890, and joined the prestigious Wall Street law firm of Root and Clark in 1891. He became a partner in 1893. Harvard Law School He graduated in 1888 and attended , a secret society that afforded many contacts for the rest of his life.Skull and Bones. He joined Phi Beta Kappa where he was elected to Yale College He then attended  He was a Phillips trustee from 1905 to 1947, serving as president of the board from 1935 to 1945.